LivFast, a part of conglomerate business line SAR Group, has come up with a new marketing campaign. The company has signed up ace cricketer M.S. 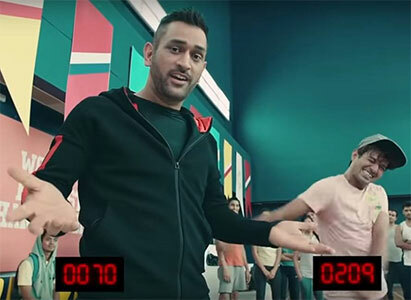 Dhoni for this new campaign ‘Faster Hai to Hai’. Conceptualized by Famous Innovations, the campaign seeks to establish Livfast as the fastest inverter in the market. LivFast, a power backup solutions provider, has rolled out a campaign consisting of three films featuring MS Dhoni. Conceptualised by Famous Innovations, the films show Dhoni clapping, doing the floss dance step and skipping respectively.